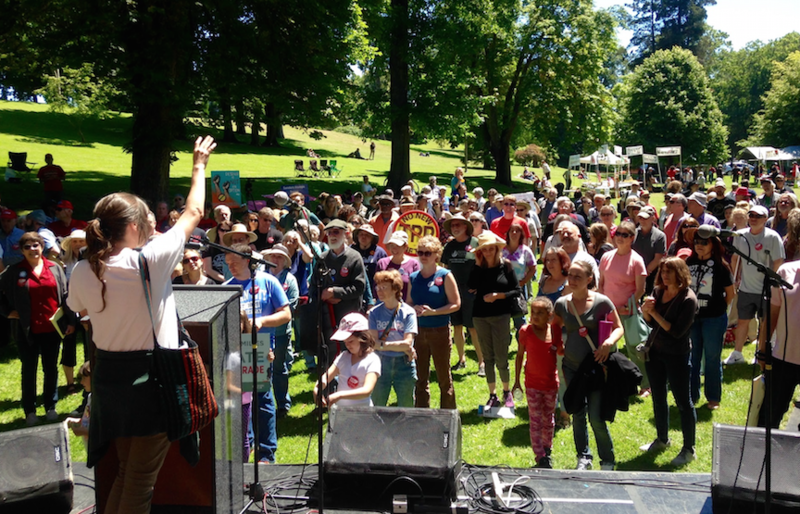 Hundreds of people gathered at the Festival for Trade Justice to rally against the Trans-Pacific Partnership (TPP) at Wright Park in Tacoma in late June 2016. 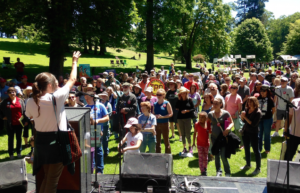 At the gathering, leaders from local labor, environmental, and community organizations gave speeches demonstrating diverse opposition to the controversial trade deal. A trade-themed festival followed the rally with live music, performances, craft stations and games. 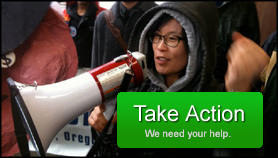 For over two years, a diverse coalition of local organizations – from labor, environmental and community groups – led by the Washington Fair Trade Coalition have been leading the fight against the TPP, a massive trade deal written by and for the corporations. This fall, Congress may be asked to vote on the controversial deal during the lame duck session. Tacoma area Representatives, Derek Kilmer and Denny Heck, are among the few remaining undecided Democrats on this issue of key importance to Washington State. 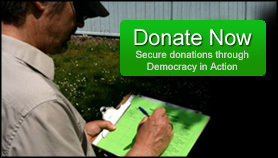 “We are demanding that elected officials across the country, including Representatives Kilmer and Heck, listen to their constituents and not to multi-national corporations, expecting TPP to cut costs and boost profits,” said Larry Cohen, former President, Communications Workers of America. 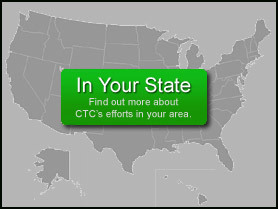 “As one of the most trade dependent states in the nation, we should be determined to ensure that trade works for people, maintaining our environmental and labor standards practices. 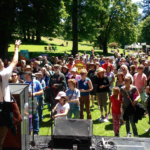 TPP creates a race to the bottom and that is a loser for Washington and our nation,” said Beth Doglio, Campaign Director for Climate Solutions and resident of Olympia, WA. 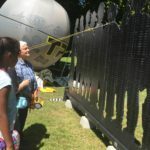 Each member of the broad coalition organizing the event is opposed to the TPP for a slightly different reason, yet all remain united in their opposition to this dangerous trade deal because the risks are just too high. 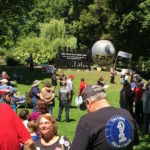 The Anti-TPP Rally and Festival for Trade was organized by Communications Workers of America (CWA), Sierra Club, Washington State Blue Green Alliance, Washington Fair Trade Coalition, Olympia Food and Water Watch, Plant for the Planet, Earth Ministry, Pierce County Central Labor Council, International Longshore and Warehouse Union (ILWU) Local 23, International Association of Machinists and Aerospace Workers District 751, International Brotherhood of Teamsters Local 117, 350Seattle, GreenPeace, Equal Exchange, UFCW Local 21, UFCW Local 367, Olympia Food Coop, ATU Local 758, and Climate Solutions.